When a user visits the survey, an event is triggered to Facebook Pixel and this action is reported. This tracking gives you an insight on the number of users who viewed your survey and who completed it. 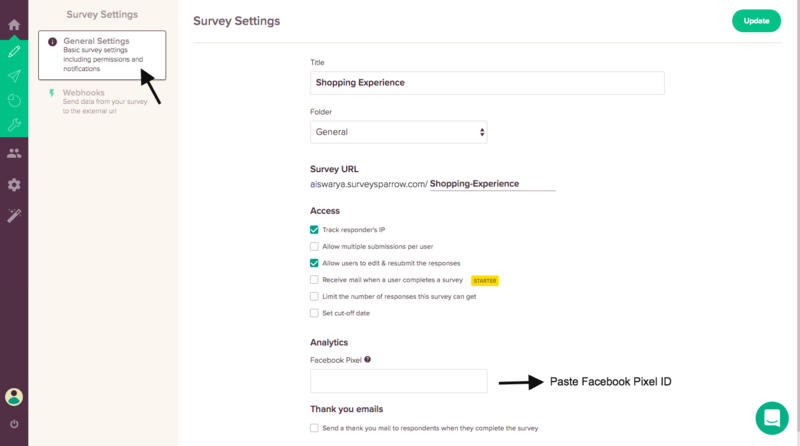 To enable the tracking, all you need to do is paste your Facebook Pixel ID and you can gain rich insights on how people responded to your surveys. 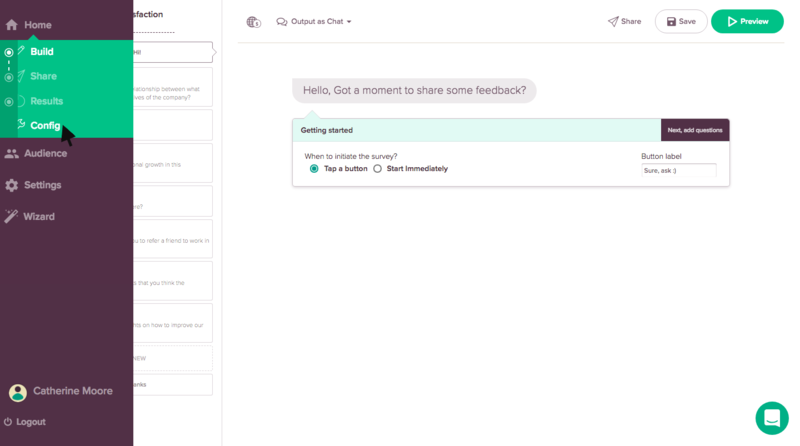 In your survey builder page, click on Config tab. 2. In the Survey Settings page, click on the General Settings. Paste your Facebook Pixel ID under Analytics tab.